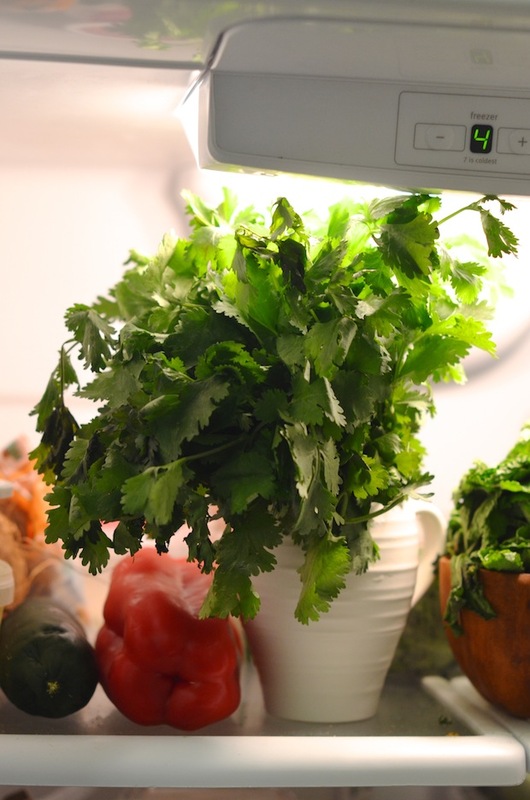 Here's an easy and fun trick to help fresh herbs like cilantro, mint and parsley last up to 10 DAYS longer. Take them out of the plastic bags as soon as you get home from the grocery store, and store them upright in small containers filled with water--just like a bouquet of flowers! Keep these in the fridge and take them out (or snip off with scissors) to use as you need them. The water keeps the herbs and veggies fresh and bright green. 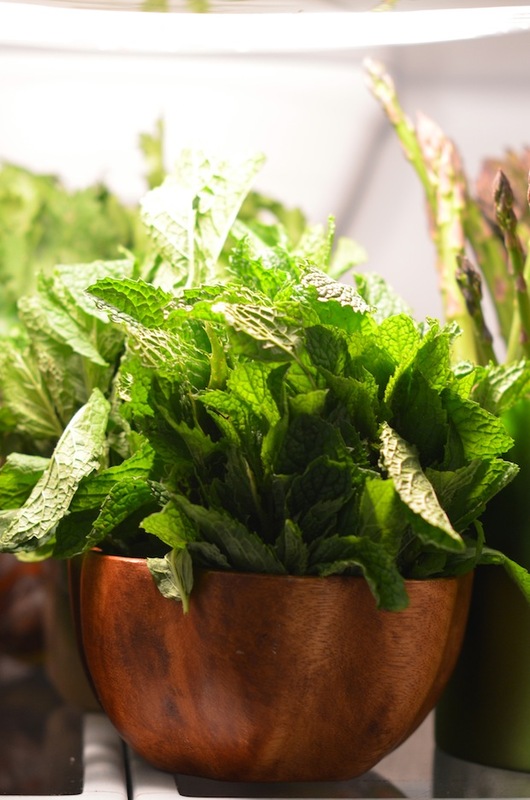 No more gross wilted herbs hidden in the back of the crisper! This works for storing asparagus, too!